Maplesoft[tm], a subsidiary of Cybernet Systems Co., Ltd. in Japan, has over 25 years of experience developing products for technical education and research, offering a solution that applies to every aspect of academic life. Its product suite reflects the philosophy that given great tools, people can do great things. 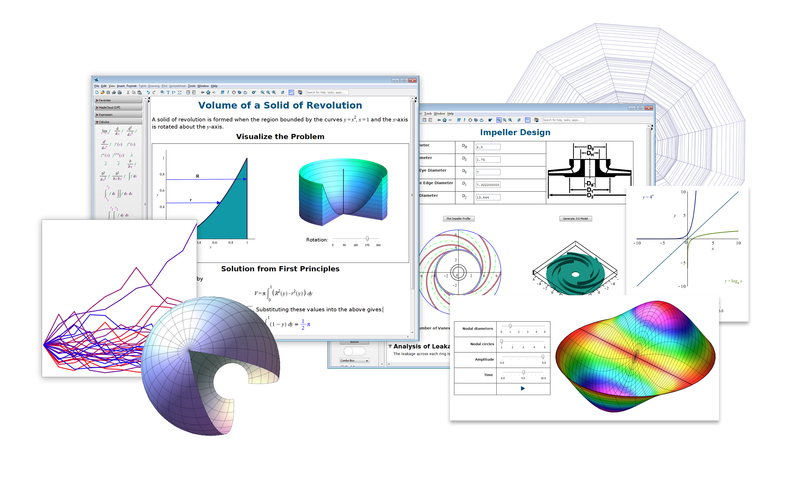 Maplesoft's core technology is the world's most advanced symbolic computation engine, which is the foundation for all of its products, including Maple[tm], the technical computing and documentation environment; MapleSim[tm], the high-performance, multi-domain modeling and simulation tool for physical systems; and Maple T.A. [tm], a web-based system for creating and assessing online tests and assignments. Maplesoft also introduced a fundamental shift in technical education through its Clickable Math[tm] and Clickable Engineering[tm] initiatives. The idea behind this shift is to create technology that will allow students and teachers to focus on the concepts, not the tool. These initiatives deliver powerful mathematics through visual, interactive point-and-click methods in Maple, while the intuitive physical modeling environment of MapleSim helps teachers to quickly demonstrate the connection between modeling concepts and the underlying mathematical theory. Over 90% of advanced research institutions and universities worldwide, including MIT, Stanford, Oxford, the NASA Jet Propulsion Laboratory, and the U.S. Department of Energy, have adopted Maplesoft solutions to enhance their education and research activities. In industry Maplesoft?s customers include Ford, Toyota, NASA, Canadian Space Agency, Motorola, and DreamWorks, covering sectors such as automotive, aerospace, electronics, defense, consumer products, and entertainment. Visit www.maplesoft.com to learn more.